Albert 0.9.0 was released recently with new External extensions - Albert is an useful quick launcher for Linux inspired by Alfred ( Mac ). It offers much same features just like Synapse Indicator. This small app is a selection-based search system, which creates an index of all items and files on the system. You can locate, open, any application, documents, photos, pictures, documents, music or system preferences, calculate math expressions, open bookmarks in your web browser, search the web, run system commands ( shutdown, lock, suspend ) and a lot more. 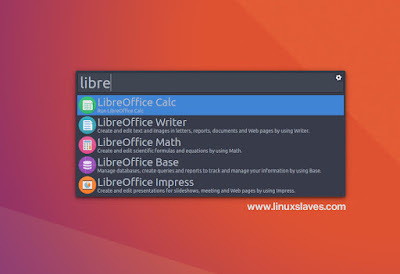 Albert is a desktop agnostic launcher. Its goals are usability and beauty, performance and extensibility. The application is written in C++ and based on the Qt framework. So you can use it on any desktop environment e.g Unity, Xfce, GNOME, Cinnamon, KDE, etc. Of course, it's 100% free and open source! The screenshots above is how Albert 0.9 looks like in my Ubuntu desktop. You can install the latest Albert quick launcher in Ubuntu 16.10 Yakkety Yak, 16.04 LTS Xenial Xerus, 14.04 LTS Trusty Tahr and its varian like Linux Mint 18 or 17. Please note, Albert doesn't start automatically. So you need to add it to startup applications manually. For those who don't want to add the PPA, you can get the deb installer and install it manually using dpkg ( you may need to run sudo apt-get -f install to solve dependencies ). Please head to launchpad to grab the Albert.deb package. Thanks for visiting us!